A tiny, low-cost weather satellite may point the way toward new, distributed architectures for meteorology. MicroMAS (Micro-sized Microwave Atmospheric Satellite) combines a 1U (10cm x 10cm x 10cm) microwave radiometer from MIT’s Lincoln Laboratory with a 3-axis-stabilized 2U CubeSat bus. Google vs. Facebook: A New Space Race? Rumors have been floating around for the past few weeks about a possible Google plan to launch a very large satellite constellation (1600 satellites) to provide global Internet connectivity. Now it looks like Facebook has similar plans. Twenty-five years ago today, the first commercially licensed rocket was launched from White Sands Missile Range in New Mexico. SpaceX recently test-fired the first stage of Falcon 9R rocket, in preparation for its upcoming first test flight. SpaceX says reusability is “the key to making human life multi-planetary.” The reusable Falcon 9R first stage is their first step toward that goal. Boeing recently demonstrated a pilot-in-the-loop simulation of its new CST-100 space capsule. Captain Chris Ferguson (USN-ret. ), who commanded the last-ever Space Shuttle flight,flew the simulation, which included on-orbit attitude and translation maneuvers, docking and backing away from a virtual International Space Station, and a manual re-entry to Earth. Ferguson is now director of Crew and Mission Operations for Boeing’s CST-100 program. Skybox Imaging produced this behind-the-scenes video of their first satellite launch. 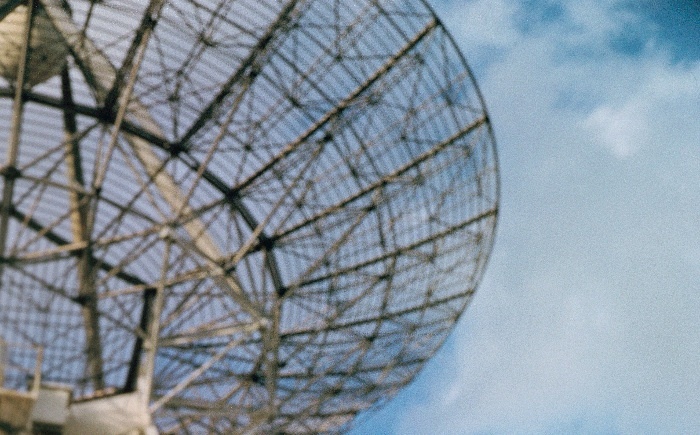 A fire at a radar tracking station has delayed launches from the Eastern Test Range at Cape Canveral until mid-April, at the earliest, Space Florida reports. This incident underscores a point which the late space visionary G. Harry Stine hammered home more than 20 years ago: a successful commercial launch vehicle must not be dependent on conventional range systems. Government ranges and launch sites are too fragile and too expensive for frequent, cheap access to space. That point was duly noted by engineers who built the Delta Clipper Experimental (better known as DC-X) in the 1990’s. Delta Clipper proponents envisioned an operational system that would support thousands of launches per year, not the paltry dozen or so provided by expendable rockets. Achieving that goal would require drastic reductions in the size of the “standing army,” to achieve the desired economies, and ground facilities that operated more like commercial airports than guided-missile ranges. 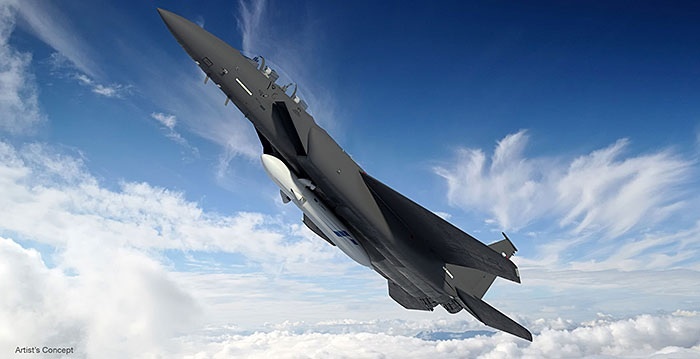 Boeing has won the contract competition to build DARPA’s Airborne Launch Assist Space Access (ALASA) launch system. The FAA Office of Commercial Space Transportation is requesting public comments on a draft environmental assessment for the Midland International Air and Space Port, the planned future home of XCOR Aerospace. To operate a commercial spaceport, the City of Midland must obtain a launch-site operator license from the FAA. 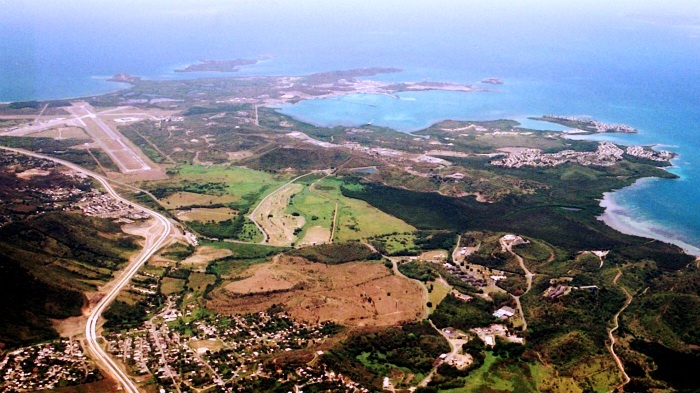 The environmental assessment is a license requirement. The proposed launch-site license would allow the City of Midland to modify the existing airport boundary, install above-ground propellant storage tanks, and construct a concrete pad for engine testing. According to the proposal, XCOR Lynx launch operations would begin in 2014 and continue through 2018. The frequency of launch operations would be one launch per week initially, increasing to two launches per day, five days a week. Fifty-two annual launch operations are proposed in 2014, increasing to 520 in 2018. The draft environmental assessment analyzes possible effects on air quality, land use, plants, fish and wildlife; floodplains; hazardous materials, pollution prevention, solid waste; historical, architectural, archaeological, and cultural resources; natural resources and energy supply; noise; socioeconomic impacts, environmental justice, and children’s environmental health and safety risks; water quality; and wetlands. A copy of the draft environmental assessment is available on the FAA Web site. The FAA will hold a public meeting to discuss the draft assessment on 8 April 2014 from 5:30 to 8:30 PM at the University of Texas of the Permian Basin. The meeting will take place in the Foyer Room at the Center for Energy and Economic Diversification. The public may also submit written comments by 21 April, 2014. The SETI Institute, NASA Ames Research Center, NASA Goddard Space Flight Center, and the Jet Propulsion Laboratory are teaming up with the National Park Service to present the third annual MarsFest in Death Valley National Park on 28-30 March, 2014. The free event will include scientist-led field trips to analog sites Mars Hill, Badwater Basin, Ubehebe Volcanic Field, and the Mesquite Sand Dunes, as well as guest lectures at the park’s Furnace Creek Visitor Center. More information and advance registration are available here. 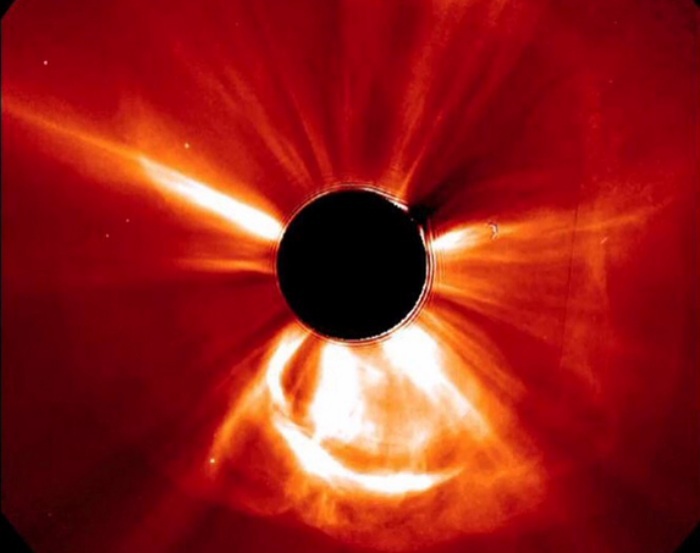 Earth barely missed a solar superstorm of devastating magnitude on 23 July 2012, according to a new study reported in the journal Nature Communications. A rapid succession of coronal mass ejections crossed the Earth’s orbit on that day. If the eruptions had occurred nine days earlier, the result would have rivaled the Carrington Event of 1859, the most intense geomagnetic storm ever recorded, according to a team led by Professor Ying Liu of the State Key Laboratory of Space Weather, China and UC Berkeley research physicist Dr. Janet Luhmann. “Had it hit Earth, it probably would have been like the big one in 1859, but the effect today, with our modern technologies, would have been tremendous,” said Luhmann, who is part of the NASA STEREO (Solar Terrestrial Relations Observatory) team and based at UC Berkeley’s Space Sciences Laboratory. The coronal mass ejections were detected by the STEREO A satellite. During the Carrington event, the telegraph system (which was the dominant form of communication at the time) was knocked out across the United States, and the Northern Lights lit up the night sky as far south as Hawaii. A much smaller event in 1989 knocked out Canada’s Hydro-Quebec power grid and resulted in the loss of electricity to six million people for up to nine hours. If a Carrington-level event hit North America today, damage is estimated at $0.6-2.6 trillion, according to a 2013 report by Lloyd’s and Atmospheric and Environmental Research, Inc. Damage to electrical transformers would leave 20-40 million Americans without power, some for as little as 16 days, some for as long as 1-2 years. (Another study, commissioned by Oak Ridge National Laboratories, estimates that power outages would affect 70% of the US population.) The lead time for building new transformers is a minimum of five months. 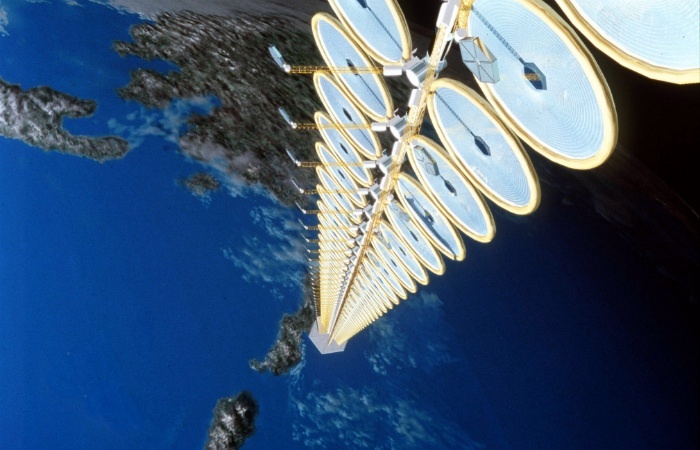 Using space-based solar power to meet our energy needs on Earth is not a new idea. Dr. Peter Glaser of Arthur D. Little, Inc. described a space-based solar-power satellite concept in 1968, one year before Neal Armstrong walked on the Moon. Glaser proposed using microwave beams to transmit power back to Earth. Others have proposed using laser beams, but none of the space-based power concepts have gone anywhere in the last 45 years. A practical space-based solar power satellite requires some technical advances, mainly in launch costs but also in other areas such as in-space fabrication, control of large space structures, and on-orbit maintainability. The biggest stumbling block, however, is not technical but economic. Despite the enthusiasm of advocates, the economic viability of space-based solar power has always been questionable, to say the least. The prospects for space-based solar power may be dramatically improved, however, thanks to an emerging interest from the US Navy. Back to the Moon is a new planetarium show about the Google Lunar X-Prize. The show has been booked into more than 150 planetariums worldwide. A complete list of venues can be found here. Planet Labs has announced confirmed launches for more than 100 nanosatellites over the next 12 months. These launches follow the launch of 28 satellites, called Flock 1, in January. The new flock, the largest satellite constellation in history, will launch on US and Russian rockets, according to a Planet Labs press release. Swiss Space Systems has announced plans to offer microgravity aircraft flights in the United States, Canada, Europe, Asia, Japan, Ecuador, North Africa, and the Middle East, beginning in 2015. Flights will make use of a modified Airbus aircraft. Customers will experience 15 parabolas, each providing between 20 and 25 seconds of weightlessness, during a 90-minute flight. Prices start at 2000 Euros (currently about $2800), with higher-price packages that include extras like a custom Breitling wristwatch. The announced 2015 flight dates for North America are: Sept. 5-6 (Canada), Sept. 12-13 (Canada), Sept. 19-20, 2015 (Colorado), Sept. 26-27 (California), Oct. 3-4 (California), Oct. 10-26 (Florida), and Nov. 7-29 (Puerto Rico). Dates for other locations are available on the S3 ZeroG website. Florida flights will operate from the former Space Shuttle runway at NASA’s Kennedy Space Center. Swiss Space Systems has formed a new US subsidiary, S3 USA Operations (Florida) Inc. The company has signed a Memorandum of Understanding with Space Florida and leased offices at Space Florida’s Space Life Sciences Laboratory. S3 will also evaluate the Shuttle Landing Facility as a possible site for satellite launches beginning in 2018, using the proposed SOAR spaceplane. In the near term, S3 will compete directly with Zero G Corporation, which currently offers microgravity aircraft flights from Kennedy Space Center, Houston, Las Vegas, and other locations in the US. Zero G Corporation has a published fare of $4950 plus tax, although research flights are higher. Zero G corporation uses a Boeing 727 aircraft. 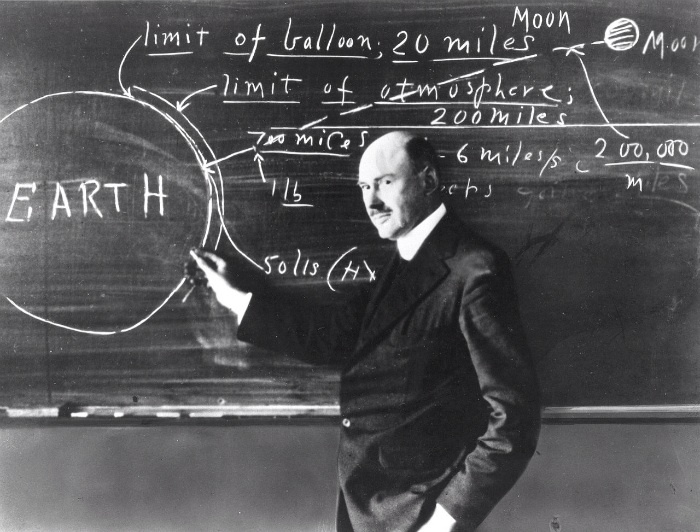 On March 16, 1926, Robert Hutchings Goddard launched the world’s first liquid fuel rocket from a cabbage patch on his Aunt Effie’s farm in Auburn, Massachusetts. The flight itself was modest, just reaching an altitude of around 40 feet and covering a distance of 184 feet, but it represents the birth of modern rocketry. Thierry Montmerle, the General Secretary of the International Astronomical Union is throwing a tantrum over Uwingu’s program to crowd-source informal names for craters on Mars. 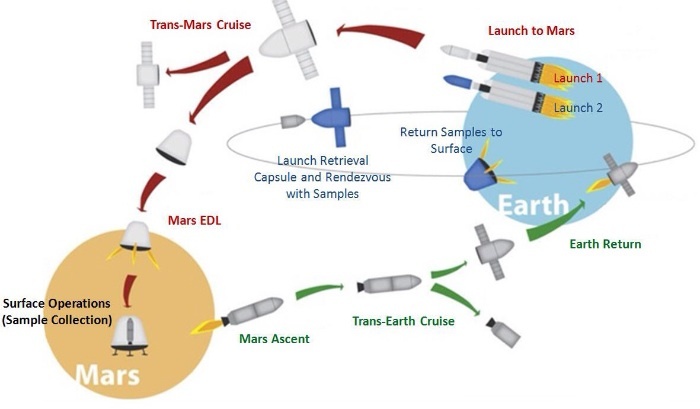 NASA could launch a Mars sample-return mission in 2022 without breaking the bank, according to an internal study conducted at NASA Ames Research Center. The mission would use a slightly modified version of SpaceX’s Dragon capsule, called Red Dragon. 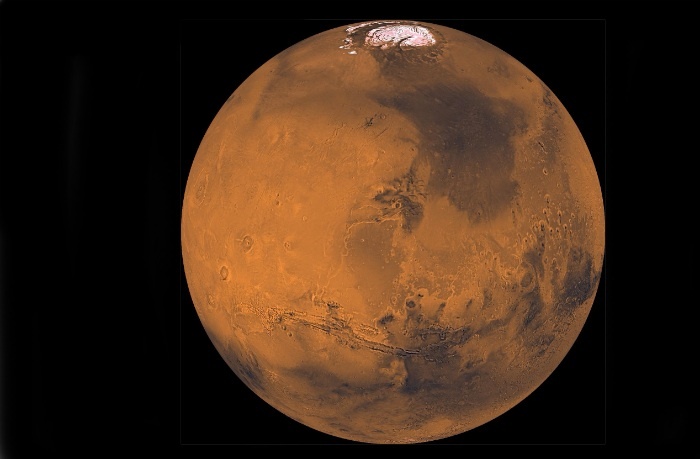 Red Dragon could land two tons (twice the weight of the Mars Science Laboratory Curiosity) on the Martian surface. The payload would include a new Mars Ascent Vehicle, Earth Return Vehicle, and equipment to drill two meters into the Martian surface. The NASA Ames study team presented a paper at the IEEE Aerospace Conference, which took place this week in Montana. Leonard David has details on Space.com. Neil deGrasse Tyson’s remake of Carl Sagan’s Cosmos TV series premieres next week. Early reviews are mostly positive, although some, like the New York Times, are unimpressed. When the original Cosmos premiered, there was nothing else like it in on TV. Space-travel shows like Star Trek were still relatively rare, and no one had attempted a big-budget no fiction space show like Cosmos before. Since that time there have been dozens, if not hundreds, of space and astronomy shows on PBS, the Discovery Channel, National Geographic, etc. While Sagan’s Cosmos had no competition, Tyson’s Cosmos has competition everywhere, including many shows hosted by Tyson himself. It is hard to see what will set the new Cosmos apart from the pack. The new Cosmos does have support from a major network (Fox), which is undeniable advantage. The quest for network fame may have caused Tyson to make some questionable choices, however. To bring in Fox, he had to partner with Seth MacFarlane, who is known primarily as a writer of foul-mouthed gutter comedy and producer of some of the worst animation ever to appear on television. It is hard to see how MacFarlane’s involvement adds anything to the new Cosmos‘ credibility. He simply brought the money. With only one episode aired, it is hard to predict what direction Cosmos will take in the future. There are some clues, however. Carl Sagan’s widow, Ann Druyan, who is also involved in the project, has said the new Cosmos will be more overtly political than the original. Considering how preachy Sagan could be in the original (and given MacFarlane’s involvement), we wonder how far the new Cosmos will go in that direction. The biggest weakness of Cosmos is likely to come from Tyson himself, however. Like Sagan, Tyson has an aristocratic disdain for human space exploration, especially large-scaled citizen space exploration. Tyson is a fan of government “flag and footprint” missions, which will always be rare and expensive. He has spoken occasionally of sending NASA astronauts to Europa, but he sees no value in affordable, near-term citizen space exploration (which he denigrates as “joyrides” and “so-called” spaceflight). 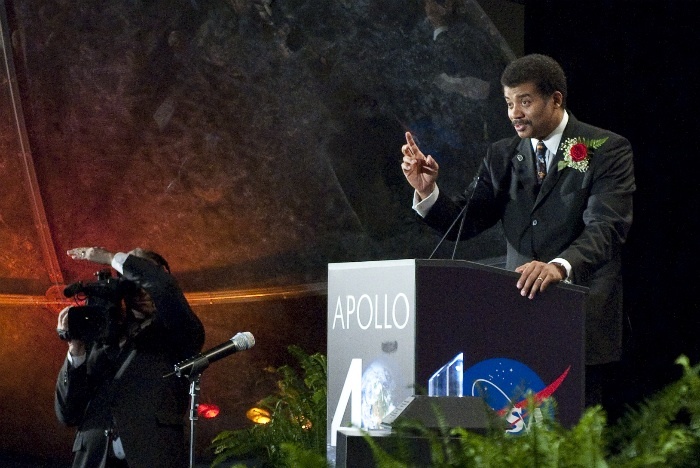 Tyson believes that citizens should explore space figuratively, through television, not literally, through actual spaceflight. But watching television is not exploration; it’s voyeurism. The universe is vast. 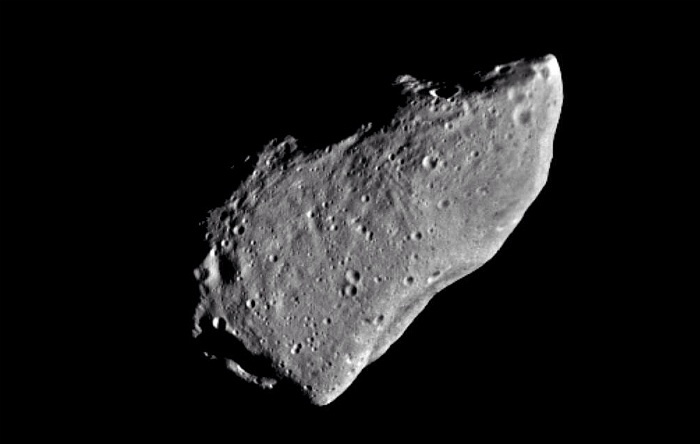 It is naive to think that space (or even our tiny little corner of the solar system) could be completely explored by a handful of government employees acting alone. We do not want to simply watch Cosmos. We want to explore the cosmos. More people travel than watch the Travel Channel. More people cook than watch the Food Network. We look forward to day when more people travel in space than watch space shows on Fox TV. A proposed architecture for a mission to the Martian moons Phobos and Deimos, with a possible launch date of 2021. This concept, from the Saskasawa International Center for Space Architecture at the University of Houston, requires the development of a nuclear thermal rocket, which would be difficult (perhaps impossible) under the current political climate. Even if the political problem could be solved, it’s unlikely that anyone would commit to using such a rocket for a manned mission without at least one long-term in-space test. These factors (and the lack of NASA funding for true deep-space hardware) make the proposed 2021 launch date highly unlikely. The basic concept, however, does appear to be technically sound. If this is viewed as a one-shot mission, it could be accomplished with conventional chemical rockets and a few more launches, which would still cost less than nuclear-thermal rocket development.